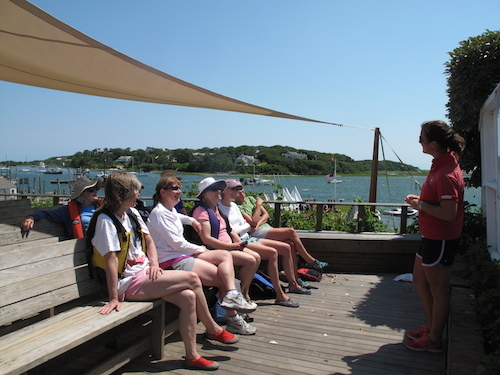 This class meets Monday and Wednesday mornings each week and is intended for adults who are new to sailing and would like to learn the basics -- including rigging, parts, sailing upwind and downwind, boat control, right of way, safety and more – in a fun group setting. Registration is available by the week, the session, or the season. 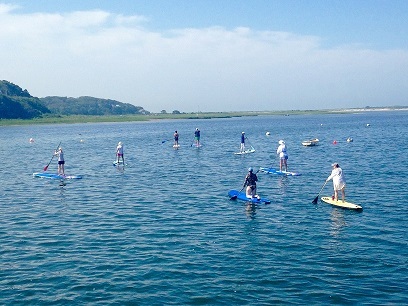 Drop-in Adult Fun Sails meet Monday and Wednesday afternoons. Adult Fun Sails are offered every Monday and Wednesday afternoons, no registration or experience is required. The Fun Sails feature a 90-minute sail in our Club Day Sailers. Come join the fun every Friday morning. If you would like to crew, please contact our Program Director, and he will try to make arrangements for you. Members may use Club boats for private instruction with any member of the Sailing School staff. Adults may take private or semi-private lessons. We strongly encourage parents to sail with their children over the summer, private lessons on a Club Day Sailer are a great way to participate in the sport as a family. At the discretion of the Program Director, members may use Club boats for recreational sailing and racing.